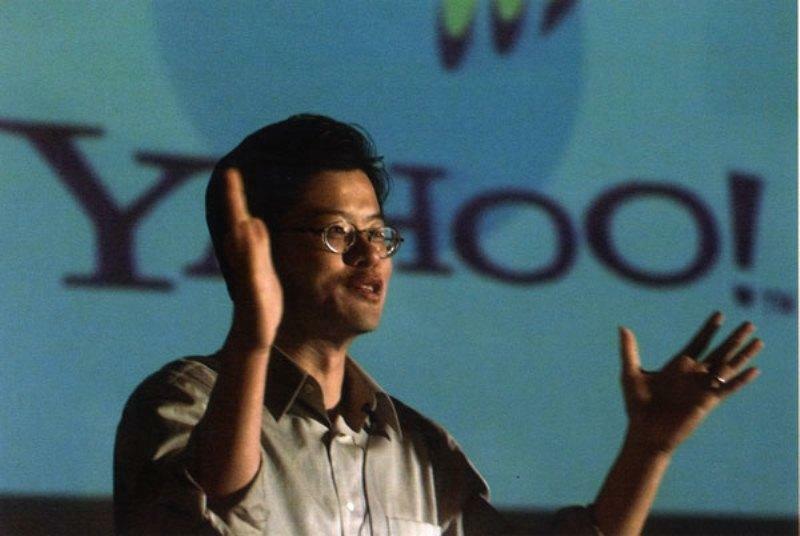 Jerry Yang wipes his hands and leaves Yahoo; is a sale imminent? Yahoo has announced that Jerry Yang has resigned from his position with the Board of Directions, as well as with the boards of Yahoo Japan and Alibaba. “My time at Yahoo, from its founding to the present, has encompassed some of the most exciting and rewarding experiences of my life. However the time has come for me to pursue other interests outside of Yahoo. As I leave the company I co-founded nearly 17 years ago, I am enthusiastic about the appointment of Scott Thompson as Chief Executive Officer and his ability, along with the entire Yahoo leadership team, to guide Yahoo into an exciting and successful future,” Yang wrote in a statement to the board. Yang has effectively cut all ties with the company after what’s been an incredibly tumultuous year. After Carol Bartz was unceremoniously fired, the company went without a CEO until earlier this month. The turnover rate for this position has been incredibly high: Yahoo has had four CEOs in five years. But problems likely lie further to the company’s core. Yahoo has become a company that doesn’t know what it does or what it’s about, only recently making cautious steps as a digital media platform after being chided for its failed or struggling attempts at search and email. Market share has dwindled, as have analysts’ confidence in the former Internet titan. The company has been subjected to more than a few massive job cuts and disappointing return on investment reports this year. Yang, however, remained seemingly bullish about Yahoo. Despite overwhelming speculation that Yahoo was considering (or should have been considering) a sale, Yang said no such thing was in the cards. “The intent going in is not to put ourselves for sale. The intent is to look at all the options,” he claimed earlier this year. The co-founder’s departure means that sale talk is back on the table. He notoriously wanted to keep Yahoo together—Yang played a large part in rejecting that multi-billion dollar bid Microsoft made nearly four years ago. Now that Yang’s out of the picture and a new CEO has been appointed (what timing…), it sounds like it’s time for a shake-up. Keep in mind that the rest of the Yahoo’s board was reluctant to a sale, so there are still some barriers. But this feels like something of a surrender: Yahoo—with Yang—tried to stand on its own two feet long after it should have. And now it might be best to piece it off and profit as much as possible. Investors may think so: after Yang’s announcement, Yahoo stock jumped more than 3-percent.